I would like to extend my sincere thanks to keerthikasingaravel from WealthyMatters who nominated the One in a Billion project for this award. Keerthika publishes highly valuable information on wealthy living at a truly remarkable rate and I would recommend anyone “for whom wealth matters” to subscribe to WealthyMatters. Aside from rapidly publishing quality blog posts and inspirational quotes, Keerthika also responds to comments in great detail. As a result, we have had a number of fascinating conversations on global economic matters from which I have learnt a great deal. OK, now over to the formalities. Aside from giving credit to the person who gave the nomination (thanks again Keerthika), the award also requires that I describe 7 things about myself and nominate 15 other bloggers for the award. 3. I keep an average of about 10 reactor simulations running at all times. Most of these simulations are working towards designing effective CO2 capture processes and all of them make really pretty pictures. 4. I am a bit of a research-aholic (good thing I am a professional research scientist). 2012 has given birth to about a quarter of a million words of original research in the form of scientific papers, project proposals, a 7’s rugby manual and of course the One in a Billion project. 5. The faculty at which I am currently doing my PhD started a very nice exercise logging program about six months ago. It’s amazing how far you can travel in six months. I currently stand at 1040 km cycling and 292 km cross country skiing. 6. I have high formal qualifications in perhaps the two uncoolest musical instruments in the world: the recorder and the tuba. I’m still trying to figure out just how exactly that happened, but have finally seen the light and am now focusing on guitar, piano and voice. 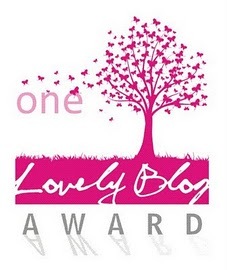 I have decided to nominate 15 bloggers who currently follow the One in a Billion project and appear to be sharing very useful and inspirational material for no reason other than making the world a better place. Even though I cannot follow any of these great blogs directly (in order to avoid complete overwhelm I only follow blogs focusing primarily on sustainable living or global environmental/economic matters), I hope that this award nomination coveys my sincere appreciation for what you are doing. http://evsucgarcia.wordpress.com/ – Very interesting trivia facts for the hungry mind. http://forganic.wordpress.com/ – A fairly new blog that has just begun sharing a raw food journey. http://fueledbyvegetables.wordpress.com/ – Great info on vegetarian cooking and healthy eating. http://gnomelandgardens.wordpress.com/ – Some very interesting information on hydroponics for home gardening enthusiasts. http://healthdemystified.wordpress.com/ – Well researched info on health and wellness that is sorely needed in the world we live in today. http://kaftanbikini.wordpress.com/ – An inspirational journey of lifestyle change towards lasting health and weight loss. http://ljayhealth.wordpress.com/ – An impressive collection of valuable information on health and fitness. http://losersarewinners.wordpress.com/ – New blog promoting healthy weight loss through exercise. http://losingambition.wordpress.com/ – A valuable resource for maintaining a healthy weight while still enjoying good food. http://naturalfemina.com/ – Some great vegetarian recipes and info on healthy living. http://solarlibra.wordpress.com/ – A newly started journey towards healthy living. http://smudiraj.wordpress.com/ – A fantastic initiative to bring quality healthcare to those who need it most. http://staysoberforever.wordpress.com/ – A shared journey through life after alcohol addiction. http://theurbangranola.com/ – A great blog about eating well, living purposefully and making a positive difference in the world. http://vernetteoutloud.wordpress.com/ – An inspirational blog about living out loud (in a healthy way of course). I truly am honored to even be considered by you, thanks again! It’s my pleasure Vernette 🙂 I hope the award brings many readers to your blog. Number 6 happened in quite a logical way: You started with recorder, because we did not have a piano. And you started with tuba, because it was the instrument available at the Frank Pietersen Centre and you were judged to be able to manage the correct mouth position. (You could for example not do the trumpet.) At the music centre in Cape Town you were chosen for trombone, but we decided on the option available in our own town. Hehe… Thanks mom. Mystery solved. BTW, Wat is die address vir die familieblog? Ek het nou die dag gesoek in die emails wat ma daaroor geskryf het en kon dit glad nie kry nie. What a pleasure to have this waiting for me for a Monday surprise! I appreciate it and will nominate by paying forward. Thank you for this lovely blog and the valuable content therein.